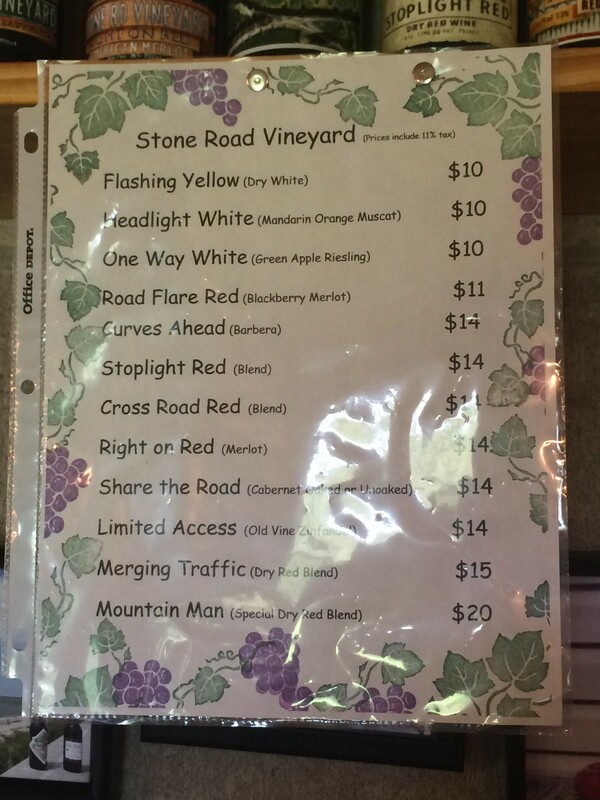 You may have seen the road-themed wines from Stone Road Vineyard located in Italian restaurants or wine shops around West Virginia: Flashing Yellow, Headlight White, Curves Ahead, Right on Red. 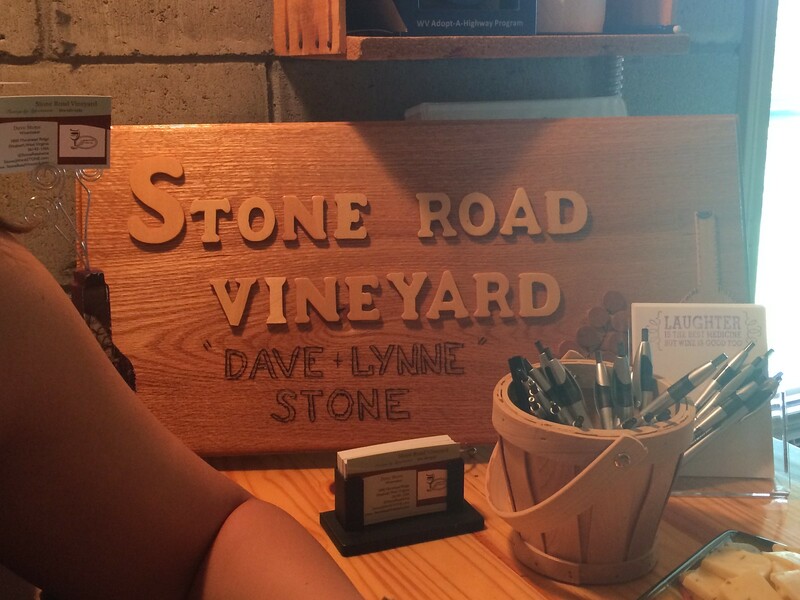 Dave Stone had always been a big car guy, and when he and his wife Lynne retired from teaching, it made sense to incorporate some of Dave's car love into their new winery. Vu ja de helped me get to Stone Road Vineyard, located in Elizabeth, but I did manage to take one small turn at the end that I wasn't supposed to, but quickly corrected. No cell phone service at this location, so be sure to get exact directions before you venture here. Once we parked, the first thing I asked is if they had a restroom (hey, I had been driving for hours at this point in the country, so no place was nearby!). They actually led me into their home - which was super kind of them. 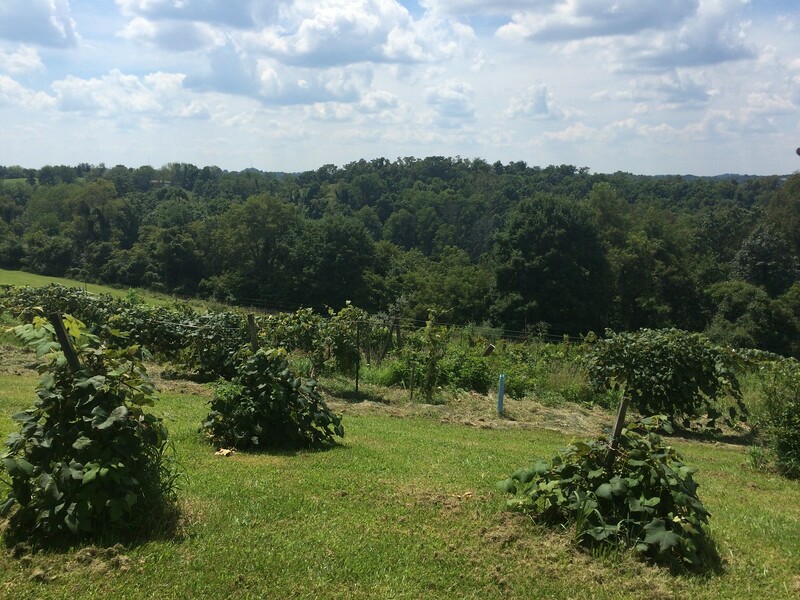 This led to a mini tour of the vineyards, which grow along the hillside overlooking some beautiful West Virginia mountains. 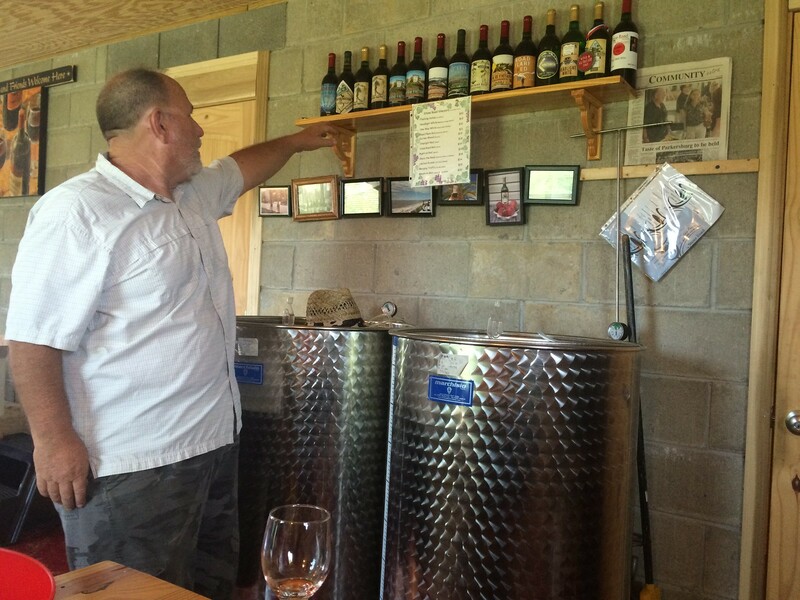 The winery, created in 2004, features a dozen wines. 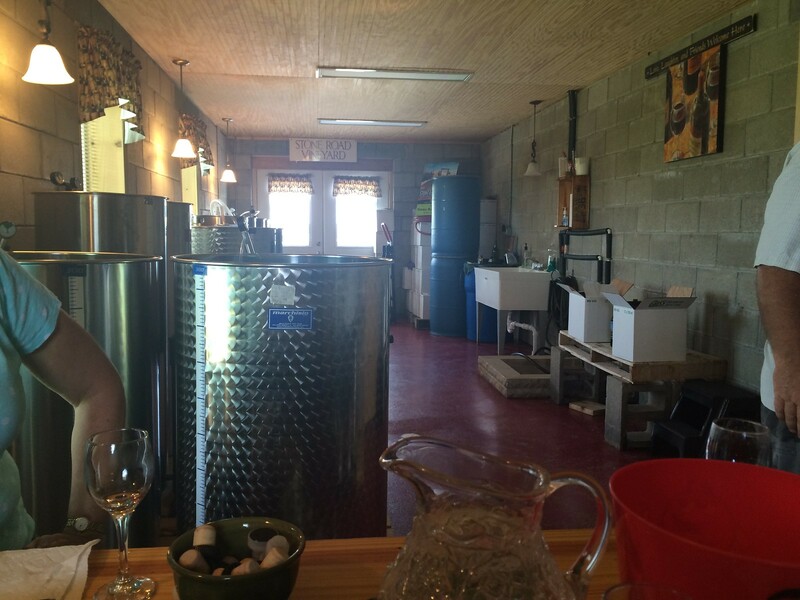 We tried all of them in their tasting area, which doubles as their production area. But Dave hopes that isn't a forever thing. They intend to expand and have more space on the second floor of the building. We worked from the bottom to the top of the list, starting with the earthy reds. 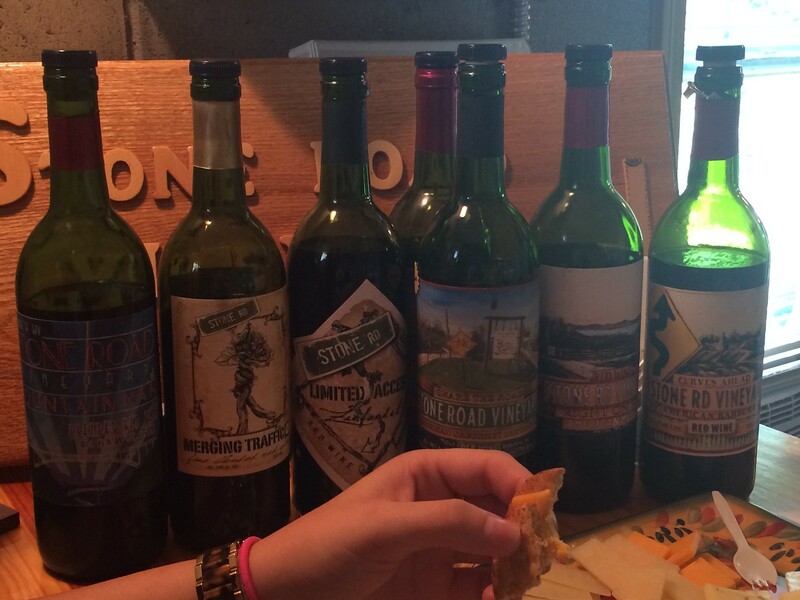 Mountain Man is a special dry red blend, which had some big flavors. Merging Traffic is a dry red blend - burgundy. Limited Access is an old vine zinfandel. Share the Road is a cabernet that comes oaked or unoaked; I preferred the oaked. Right on Red is a merlot, Cross Road Red is a blend, and Stoplight Red is also a blend (and one of my favorites). 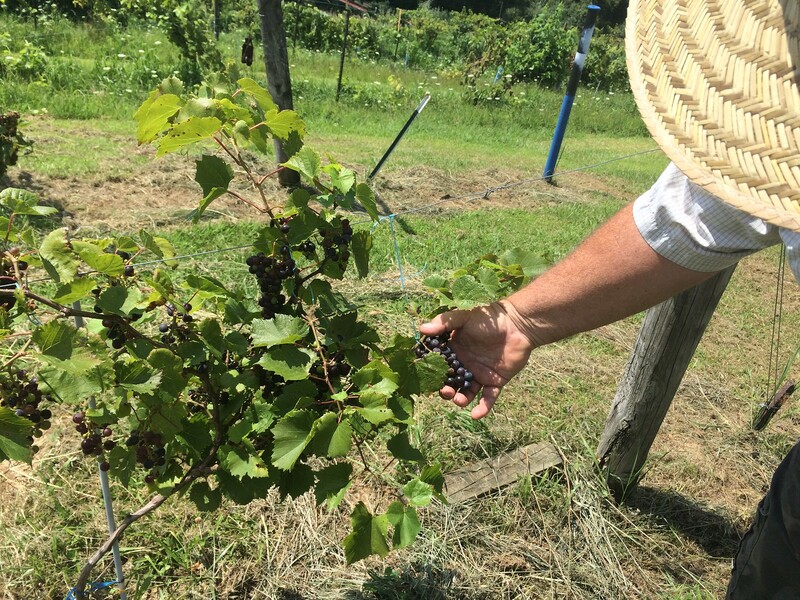 Curves Ahead uses a barbera grape. Road Flare Red is a blackberry merlot (mmm). One Way White is a green apple riesling that tastes exactly like a jolly rancher. Headlight White was another favorite, and Flashing Yellow is more of a dry white. 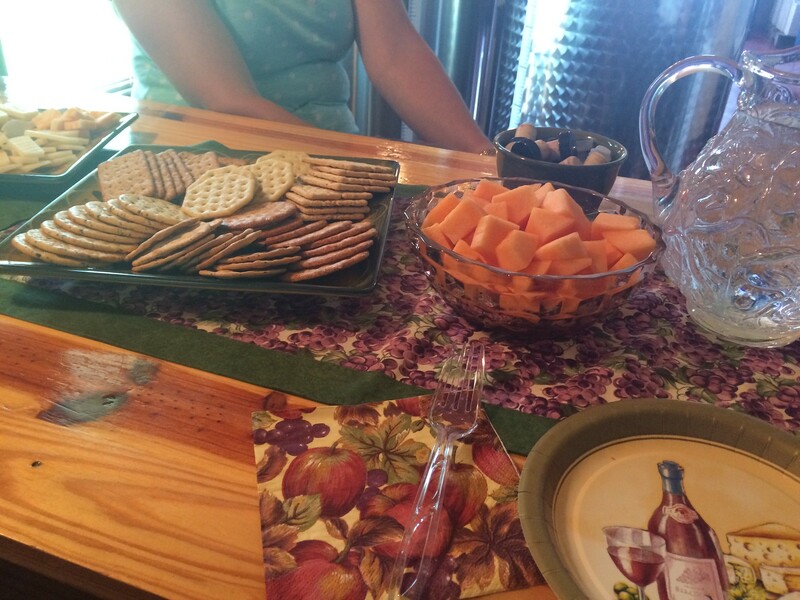 This winery had the most options available, plus a whole spread of cheeses, crackers and even some fresh fruit. I ended up taking home a bottle of the Headlight White. And luckily, they pointed me in the right direction to the last and final winery of the trip - WineTree Vineyards. Written directions in hand, we were on our way. 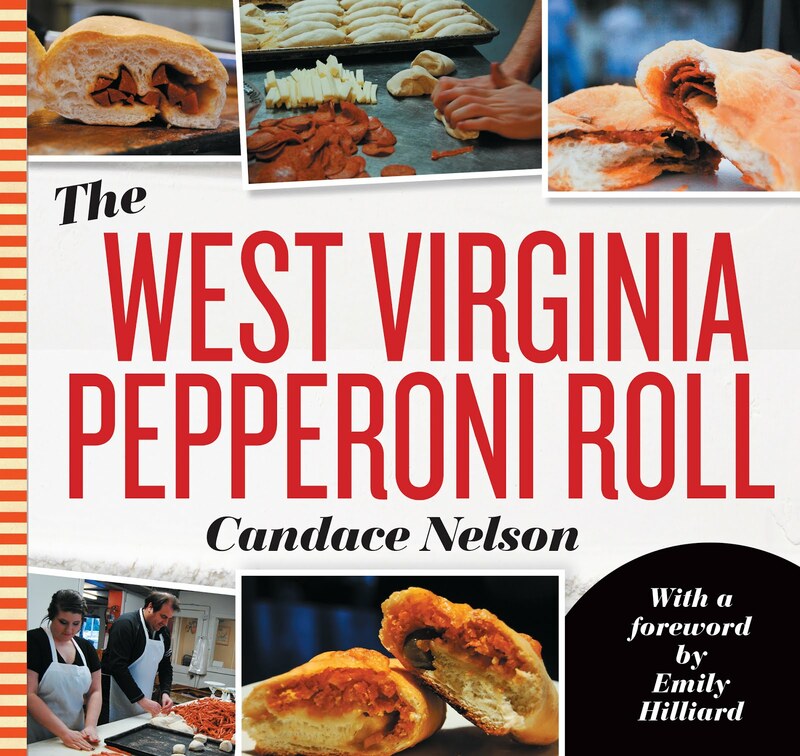 Tastings are by appointment only: 304-481-3591. 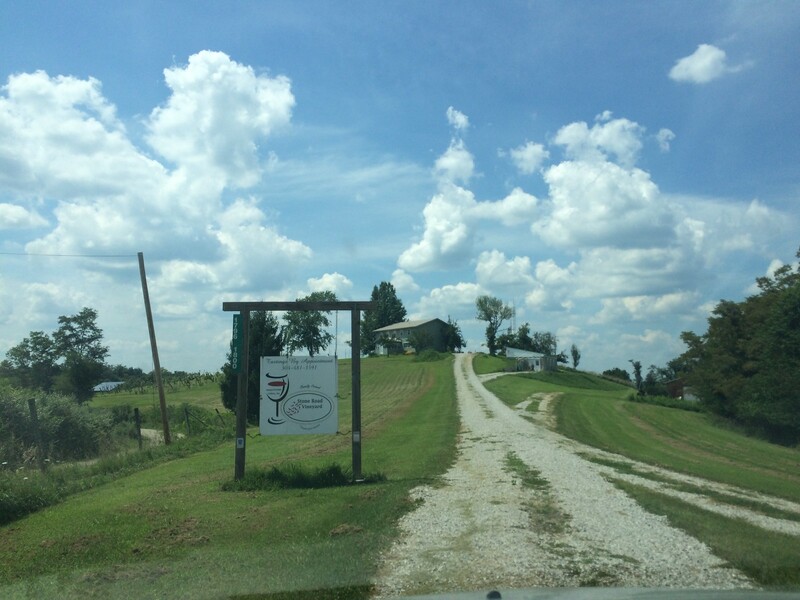 Stone Road Vineyard is located at 1800 Morehead Ridge, Elizabeth, WV 26143. Your GPS and cell phone aren't going to be much help here, so chat with them, and they'll be happy to bring you to them!